You Can Soon Travel From Delhi To Meerut In Just 50 Minutes! If you’ve got friends and fam in Meerut, we have good news for you. 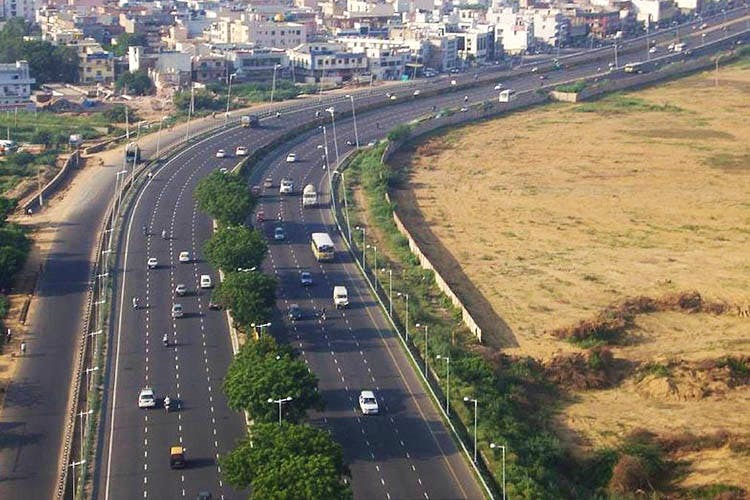 Delhi just inaugurated the first phase of the 14-lane Delhi-Meerut Expressway last Sunday. Once the project is complete, it’ll bring down the travel time between the two cities from 4-5 hours to just 50 minutes! The stretch that just opened is 8.36km (of the total 82km) from Nizamuddin Bridge to UP Border, and includes four-lane service roads, cycle tracks as well as a footpath on either side. It also has an Advanced Traffic Management System (ATMS) and CCTVs, vertical gardens and solar panels for lighting, which means better security and less pollution. Till the entire phase is complete (expected date for that is March 2019), commuters will have to take the usual NH 34 route from the expressway.